I like the quote and the stop of action as she twirls in snow is great. What a fantastic action capture. I’m sitting In Assateague State Park right now and the rangers are back . Visitors center is open along with the bathrooms😊. So glad they are able to get back to work. Visited two days ago and ran into one ranger ( no pay) he said it has been a free for all since the government shutdown. So glad they are back let’s hope for a long long time. carefree, the way it should be! LOVE this! The older I get, the more I hate a snow forecast - I'll try to remember the joy in this photo for the next few months! 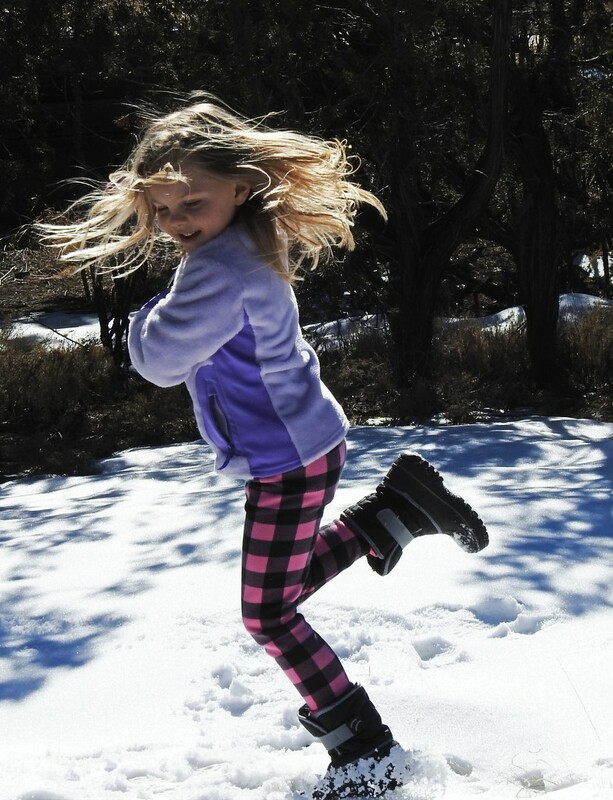 Thanks so much for commenting on my photo of our granddaughter twirling in the snow. We get so little snow, but we were in a part of the state that had some, and she, like all children, thought it was terrific fun. Fabulous shot. Your grandkids are lucky to have a grandmother take such wonderful photos of them! @lesip Robby is very glad the shutdown is over although Utah protected its parks; still, the funds for doing so wouldn't last forever. Although rangers must have a college degree, their pay is very low and they certainly can't afford shutdowns. I truly appreciate your thinking of him and others during this time.